FBI Warned Of Threat From Non-Existent "Pro-Choice Extremists"
A domestic terrorism briefing the FBI gave to law enforcement agencies in 2017 warned them about the threat of “pro-abortion extremists.” That would be fine, except—as the FBI’s own briefing materials subsequently admit—violent pro-abortion extremists barely exist, and in no universe do they constitute an organized domestic terror movement. The existence of this briefing was uncovered by Property of the People, a government transparency group that uses Freedom of Information Act requests to shed light on the workings of the government. Anti-abortion groups, meanwhile, have harassed doctors and clinics who provide abortions for decades, leading to arson, constant death threats, a wave of bombings throughout the 1990s, and the murders of some 12 people between 1993 and 2012, all either clinic staffers or physicians. 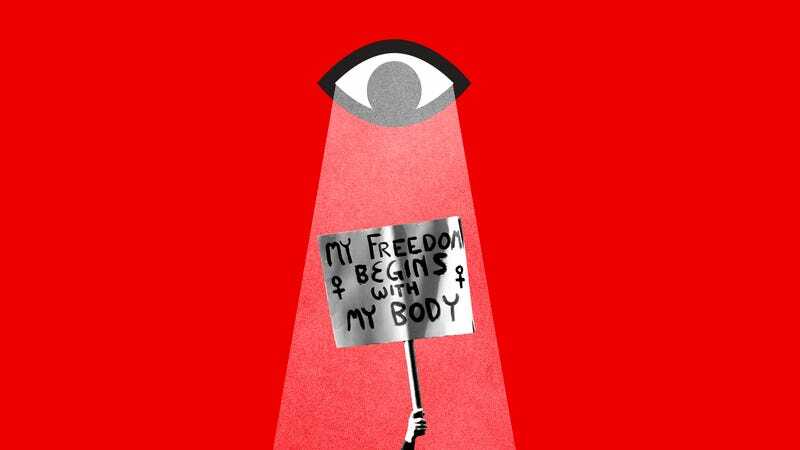 The nature of these constant threats, combined with consistent state and federal-level legislative efforts to curtail abortion or ban it outright, has changed the nature of abortion access in America. And yet the FBI’s briefing to law enforcement agencies appears to be based on the idea that there are threats, particularly dangerous lone wolf-type extremists, on both sides. Shapiro also points out that the idea of violent pro-choice activists is a far-right talking point, promoted by groups like Human Life International and ultra-conservative outlets like The Federalist. Its appearance in a law enforcement document is worrisome, he says, and raises questions about how it got there. As for the document itself, the details it provides on what pro-abortion terrorists do is a bit thin, perhaps based on the fact that there are basically none of them. The briefing also provides a list of dates when anti-abortion activists might be especially active. It doesn’t do the same for pro-choice extremists because, again, the sample size they have to work with is vanishingly small. Gunita Singh, POTP’s staff attorney, points out that it’s far from the first time the FBI has highlighted an apparently nonexistent threat. Singh says the broader issue is about how people who advocate for abortion rights — a medical service that is, at least for now, still legal in this country — might come to be viewed by law enforcement. In essence, the concern is that by creating this fictional category of terrorists, will law enforcement agencies begin to look for them, be primed for them, seek them out, and even identify them where none exist? What does this bode for the future of legal pro-choice activism, particularly in an era where abortion rights are being radically restricted?